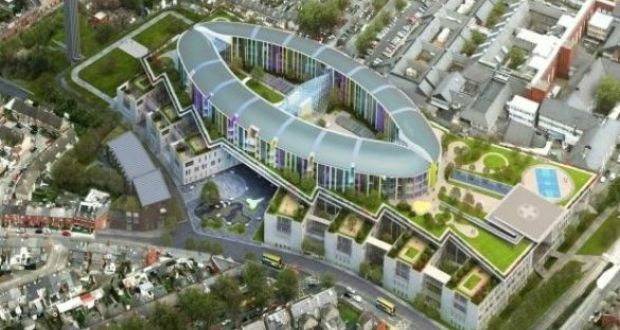 The Government which says that it cannot afford to pay the nurses and midwives is presiding over a massive cost overrun at the new National Children’s Hospital (NCH). 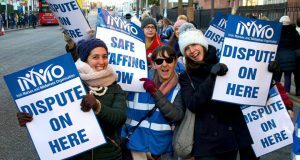 Health Minister Simon Harris says it would cost an extra €300m to meet the full pay claim being made by nurses and midwives. The INMO disputes this figure and says it is a gross overestimate. But even if it were to be true, the cost would be far less in reality because these workers would pay large amounts back to the state in taxes. Meanwhile, cost overruns at the NCH come to the far greater sum of €450m over an eighteen month period between early 2017 and mid-2018. The construction costs claimed by the main developer BAM rose from €432m to €556m during this period. 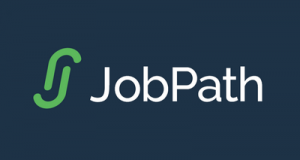 The costs claimed by the Jones Group for mechanical systems rose from €107m to €177m. The costs claimed by Mercury Engineering for electrical systems rose from €98m to €157m. Overall, hospital construction costs rose from €983m to €1433m – an increase of €450m. Construction inflation is currently running at 8% and can’t explain the vast bulk of these cost increases. “Cost overruns” are par for the course for profiteers of this kind. For example, BAM Construction were taken to court by the Port of Cork company last year after hiking port redevelopment cost demands by more than 25%, claiming that there was an “arithmetic error” when the tender was submitted. The same company is embroiled in controversy over the Cork Event Centre project where costs have risen from €53m to €74m. 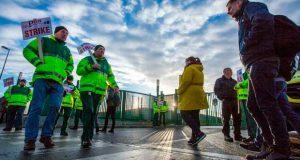 Many parents and patients groups from outside Dublin have criticised the St James’ Hospital location on the grounds that children – some in need of emergency care – would be better served with a hospital on the outskirts of Dublin rather than one which requires a journey into the centre of the capital. But now the NCH project team are conceding that the city centre location is “difficult” for such a major project with added costs for draining, traffic, decanting and archaeology. Fianna Fáil are continuing to prop up the Government despite these disastrous cost overruns. Fine Gael meanwhile have lashed out €450m for a PriceWaterhouseCooper report into the ballooning costs and will probably implement sanctions against individuals in an attempt to allay public anger and divert attention from the real issues. First and foremost, the NCH scandal shows the need to seize the construction industry from the private ownership of profiteers such as BAM, and for it to be taken into public ownership under democratic working-class control. On this basis a state-owned construction company could be established. Such a company should be charged both with ending the housing crisis with a mass programme of building public housing on public land and with capital projects such as the NCH. The scandal also shows the need for a national health service run on the basis of need not profit and its staff and its service users as its priority rather than the greed of outfits like BAM. A health service such as this would end profiteering in and from the health service. All private hospitals, healthcare and pharmaceutical companies would be nationalised in order end such profiteering. It would have the necessary investment in order pay its staff a decent wage and provide proper working conditions.